It is imperative for any website to have an elegant design. Unless you have a specific theme in mind and a particular design or type of aesthetic that you want your website to sport, you would want to impress the audience with a visually pleasing website. Elegance is subjective. There are many elements that determine elegance when it comes to a website. Everything from the layout to the use of colors, the graphics to the fonts or typeface being used, the gradients and the manner in which the contents are presented, all such aspects and more will determine if a website is elegant. 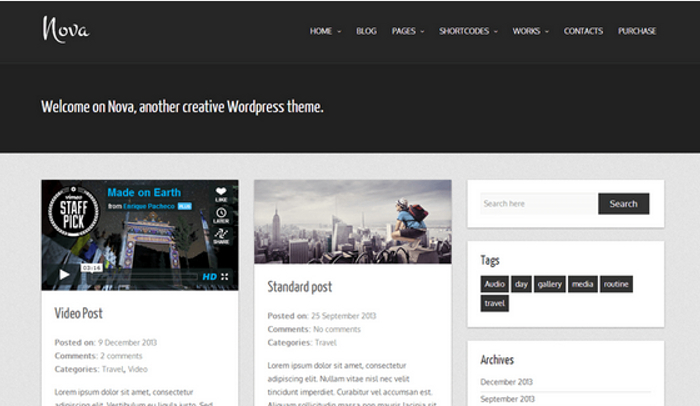 Fortunately, there are many free WordPress themes that score well on the scale of elegance. Courtesy the best free elegant WordPress themes you don’t need to worry about the nitty-gritty of the design. You can simply use the template and opt for the customizations you need. Here is a brief list of some of the best free elegant WordPress themes. This list is by no means exhaustive or inclusive of all themes that can be deemed elegant. Nova Lite is developed by Alessandro Vellutini and is used by more than a thousand websites. It is a responsive theme so you don’t have to worry about the mobile presence of your website. The theme is based on Bootstrap framework and supports all browsers, Chrome, Firefox, Safari, Internet Explorer and Opera. 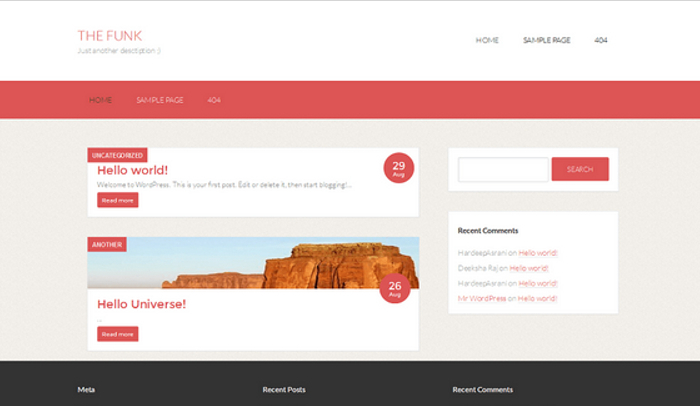 Powered by HTML5 and CSS3, the theme is easy to work with. 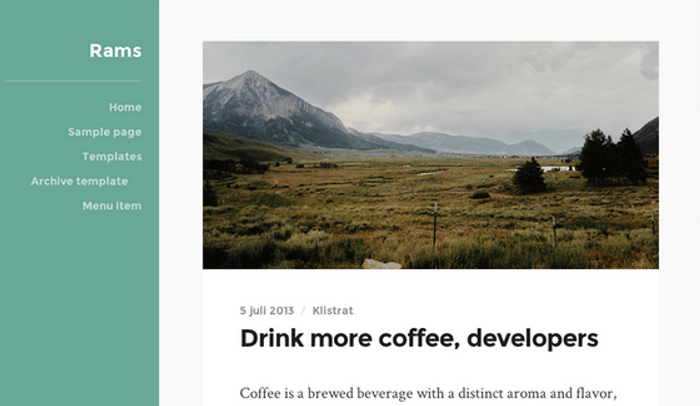 The simple layout and easy contrasting colors make for a pleasant viewing and reading experience. 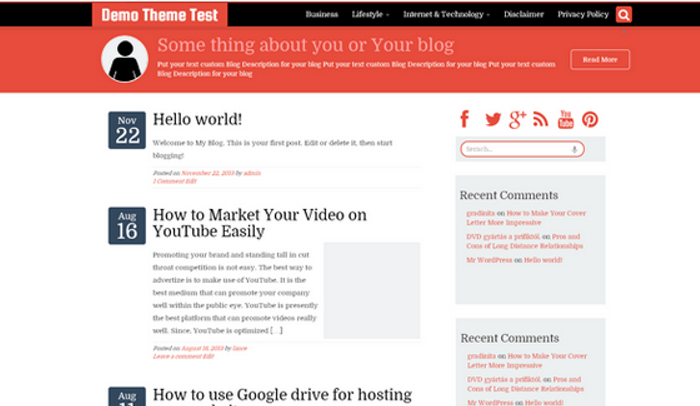 Mantle is a responsive theme and is used by more than two thousand websites. 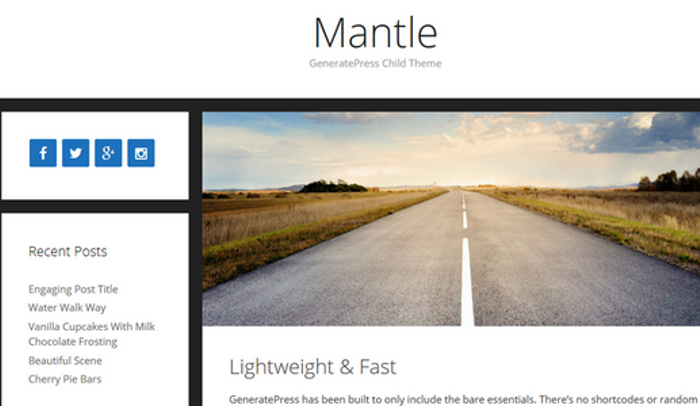 It is a timely updated theme based on the larger theme of GeneratePress. The theme is not just ready for mobile browsers but you also get W3C Markup, Schema.org integration, compatibility across browsers and ready for search engine optimization. The website is available in German and of course English but is completely translatable. WriterStrap, as the name implies, is geared more towards content and textual content to be precise. Any website that needs more verbose content will do well with this minimalist theme. It is powered by TwitterBootstrap 3.0, ready for SEO optimization, the loading is particularly fast and the flat blog layout works like breeze. There are many theme functionalities to manage multiple profiles and all your online integrations. The theme has a demo available for interested webmasters. Guardian is presently being used by more than two thousand websites. It is common but not that widespread. It still leaves enough room for unique customization. The multi-purpose theme is responsive and ideal for business websites, blogs and portfolio sites. The theme is very flexible. It is powered by Bootstrap CSS framework. It is translation ready and works on all browsers. The theme has four page layouts, two page templates, five widgets with four footers and one sidebar, there are different options to choose the column design and you can integrate all your online profiles or presences into the site. Guardian has enough options including complete CMS control to weave your magic into the site. It is also compatible with WooCommerce. This is a very clean, simple and lightweight theme. It offers a full width layout and is responsive. The wider layout works very well with large screens that are quite common today. The default theme has three columns layout but you can go for a one column or two columns layout as well. 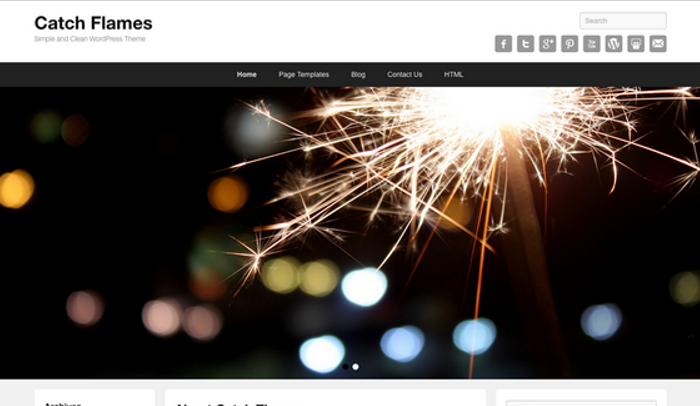 Catch Flames is powered by CSS3, HTML5 and the Theme Options panel. A flexible and very customizable option available for free Catch Flames is easily one of the best free elegant WordPress themes at present. It is being used by more than three thousand websites right now. The theme works with WPML, mqTranslate, qTranslate, Polulang, Jetpack, WooCommerce, WP-PageNavi and Contact Form 7 among others. The website you develop will be translation ready and the theme is already available in French, Brazilian Portuguese, Spanish and Swedish. A responsive theme with customizable layouts, ample colors to choose from within the Theme Customizer, The Funk offers enough flexibility while ensuring that you have an elegant design throughout. You can opt for any type of personal styling and the base design of the theme will ensure the level of elegance you want. 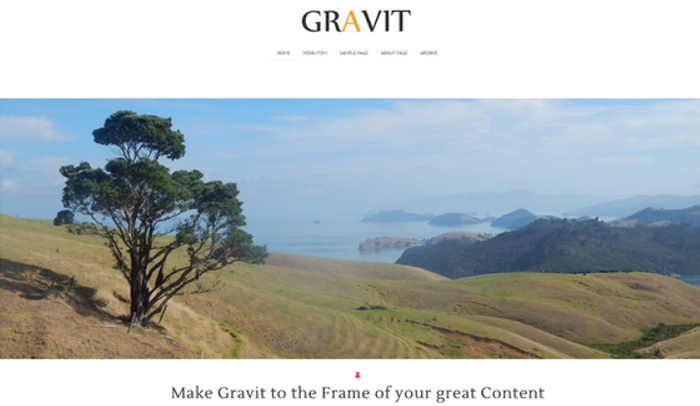 Gravit is minimalistic but well detailed and completely responsive. The elegant design doesn’t come in the way of focusing on content. While offering an elegant viewing experience, you can allow your visitors to have a great read or browsing exploration. Presently being used by more than two thousand websites, Rams is another minimalist website. It is ideal for bloggers because of the personal essence that one can bring into the presentation of content. The theme is responsive and it is retina-ready. There is support for quote post formats, gallery and custom accent color support. There are many editor styles, Jetpack infinite scroll integration and there is a translation ready code.